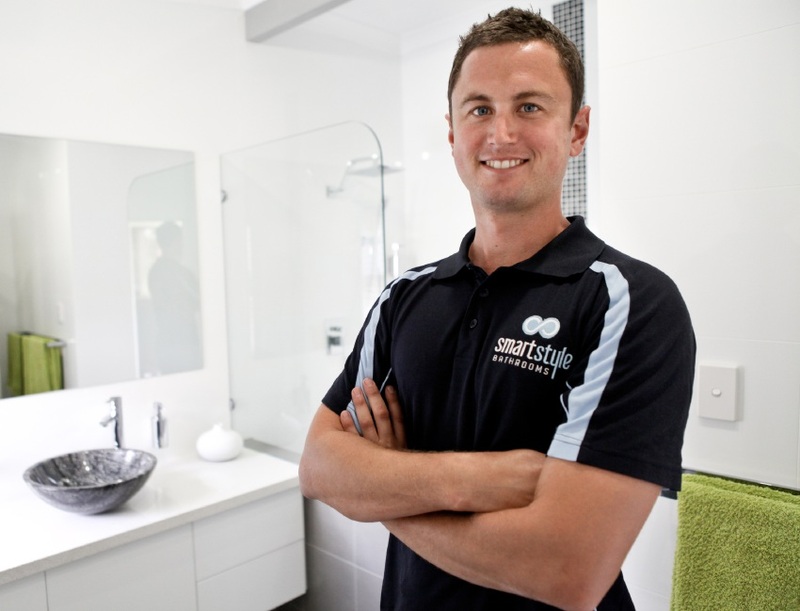 Smart Style Bathrooms managing director Cameron Slater said the increased use of mobile devices in the bathroom was changing the renovation wish list, sparking a flood of new products that in the past would have been laughable. “Gone are the days when having a toilet that flushed was all that mattered or having hot water coming out of the tap,” Mr Slater said. “People want a built-in stand for their iPad so they can play games while on the toilet, others want it in the shower and waterproof speakers. “You can get an adjustable bath caddy for your technology device, or a waterproof suction-mounted iPad stand for the shower. Mr Slater said a quick poll on Facebook found 60 per cent of people used some sort of technological device in the bathroom. “Studies also show smartphones and tablets harbour thousands more germs than the toilet, so there is a real need to build bathrooms that make it harder for bacteria to breed,” he said. “This is why it’s so important to not cut corners when renovating a bathroom and ensure all the products used will reduce mould and bacteria, especially with people bringing their devices in and out of the bathroom on a daily basis,” he said. These now come with timers, so it is a good idea to ensure it runs for at least half an hour after the shower has ended to reduce air moisture. Good ventilation is extremely important. Use an oil-based primer and mould-resistant paint. It will have a strong smell and take longer to dry but it will be worth it in the long run. Mould-resistant silicon is a must around the shower screen, corner tiles, bath and sink. It is around $15 a tube whereas the silicon that doesn’t stop mould is only $3 a tube, but will cost you a lot more in the long term. Installing an automatic closing toilet lid will ensure bacteria isn’t spread around the room when you flush.